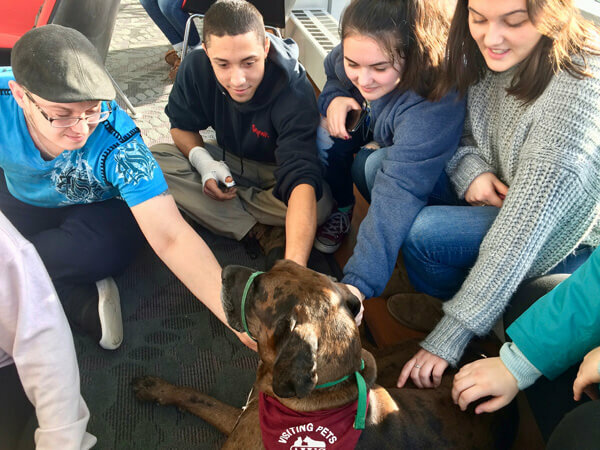 The Visiting Pets team is comprised of dedicated AWS volunteers and their own dogs that come together to provide comfort and joy to those they visit. Many of the dogs are AWS alumni and all are either registered therapy dogs or Canine Good Citizen certified dogs. As a team, they visit local residential settings, such as nursing homes, assisted living facilities, group homes and colleges and universities. Would your facility be interested in scheduling a visit?